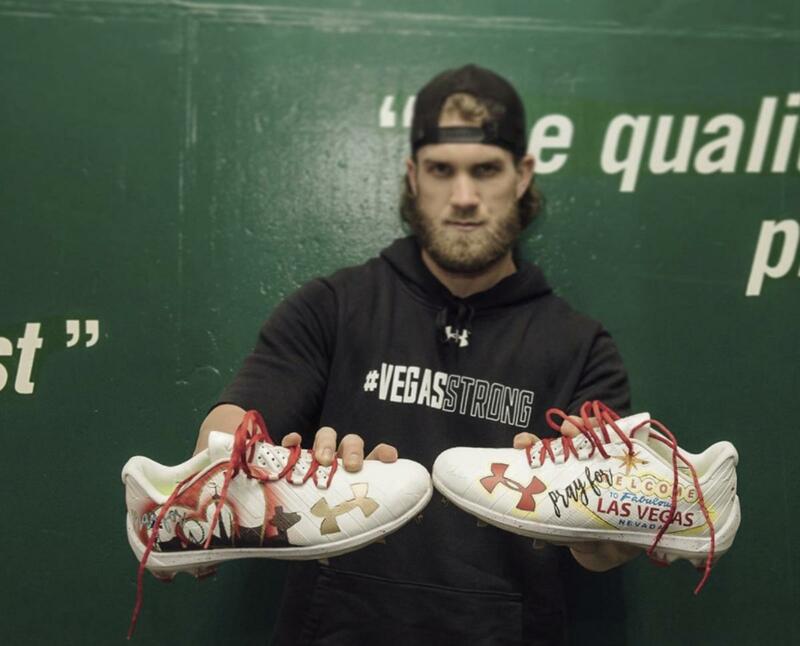 The Washington Nationals selected Bryce Harper, a 17-year-old with prodigious power from the College of Southern Nevada, as the No. 1 overall pick in the 2010 draft. 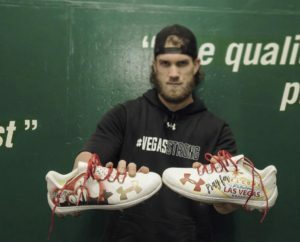 Harper hit .443 with 31 home runs and 98 RBIs in his first college season in a wood bat league after getting his GED instead of completing the last two years of high school in his hometown of Las Vegas. Though he was mainly a catcher, Harper was originally drafted as an outfielder to expand his career. He was selected to represent the United States in the 2011 All-Star Futures Game during the 2011 All Star Game weekend. Harper went 2 for 3 in his AA debut with two singles, a run, and a walk. Bryce has hit the longest home run in the history of Tropicana Field, home of the Tampa Bay Rays, and his blast of 502 feet would have gone farther if it hadn’t hit the back wall of the dome. As a catcher, he picks off runners from his knees, and he throws a 96 mph fastball. He made his MLB debut with the Nationals on April 28, 2012. Harper was selected for the 2012 All-Star Game, becoming the youngest position player to ever be selected and winning the NL Rookie of the Year Award in November of the same year. In his 2013 season, Harper hit two home runs on Opening Day of the season against the Miami Marlins. He became the youngest major league player (at age 20) to hit two home runs in his team’s first game of the season. He was selected a second time for the MLB All Star Game at the end of the season. The same year he became the second-youngest player to make it to the finals in the Home Run Derby. In 2015, Harper hit a 461-home run to center field against the Phillies—the longest home run of his professional career. A month later he hit three home runs in a single game, becoming the youngest player to accomplish that since Joe Lahoud in 1969. He received the Player of the Month award for his achievements in May. 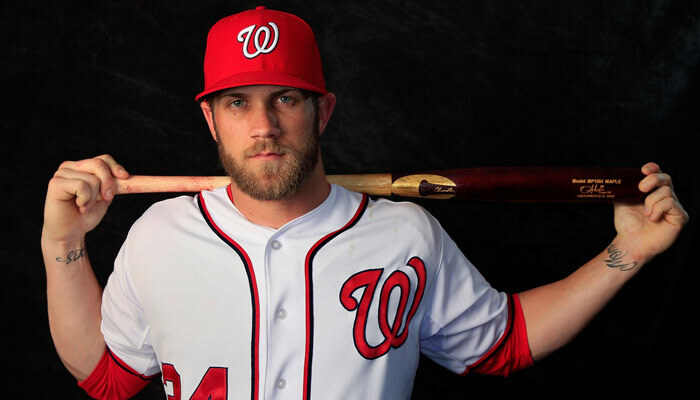 Baseball America named Harper the 2015 Player of the Year, and he was named the National League winner of the 2015 Hank Aaron Award. On November 19, 2015, Harper was unanimously selected as the MVP for that year’s National League. His 2016 season led to more home runs and more awards and recognition, including becoming the eighth-youngest player in major league history to reach 100 home runs. His success carried into his 2017 season until August when he suffered a hyperextended left knee, but luckily no significant damage was sustained and he was able to return within two months of being on the disabled list. Harper is set to become a free agent (meaning he is not under contract to sign on with any specific team) after the 2018 season. His agent Scott Boras is named by Forbes as the top sports agent in the world, so it’s almost guaranteed that Harper, with his own talent and the help of his agent, is set for a successful career in professional baseball. Bryce and his longtime girlfriend, Kayla Varner, were married in the San Diego Temple of The Church of Jesus Christ of Latter-day Saints on Saturday, 17 December 2016. The couple had been together since high school and initially had planned to marry in 2015, but that wedding was called off. They got back together in 2016. Kayla called the wedding “The Sequel” in her past social media posts. According to the Washington Post, guests who are not members of the Church were not allowed to attend the ceremony. However, Harper, Varner, the couple’s family and friends’ posted photos from the reception on Instagram and Twitter.